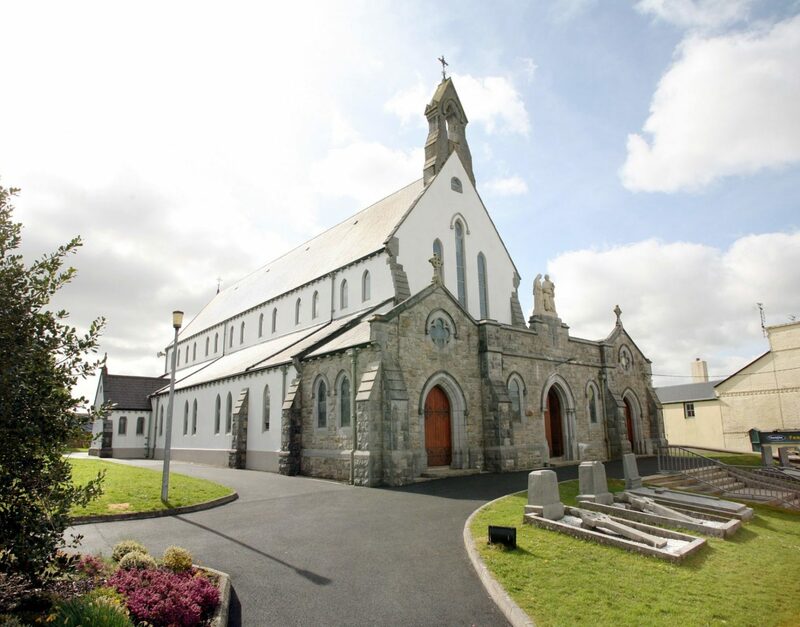 The original name of the Parish is Killedan which comes from the Irish Cill Liodáin, ‘the Church of Liodáin’. Killedan Church which was a Franciscan foundation would have been the centre of Christianity in this part of Co. Mayo from the 12th to the 16th Century. The restored stone Church believed to have been erected in the 12th Century still stands in the townland of Killedan. Fr. 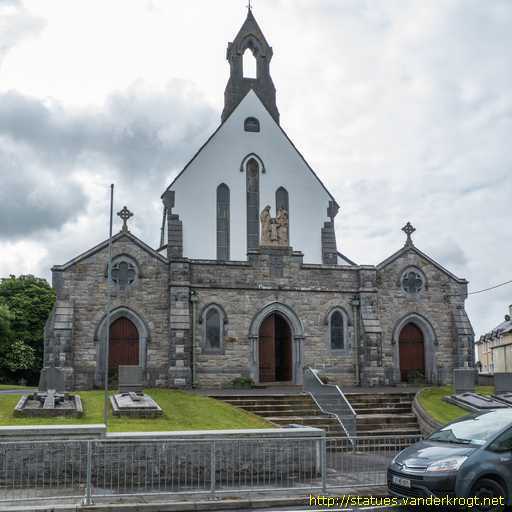 Denis O’Hara was appointed Parish Priest to Kiltimagh on 20th February 1887. The existing church building was in bad condition so he immediately set about building a new Church. The old church was demolished in 1887 and Fr. 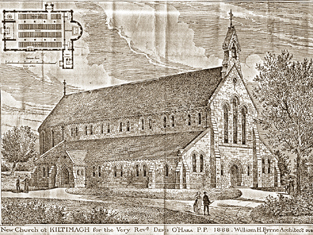 Denis employed William Henry Byrne, Dublin, to design the new Church. 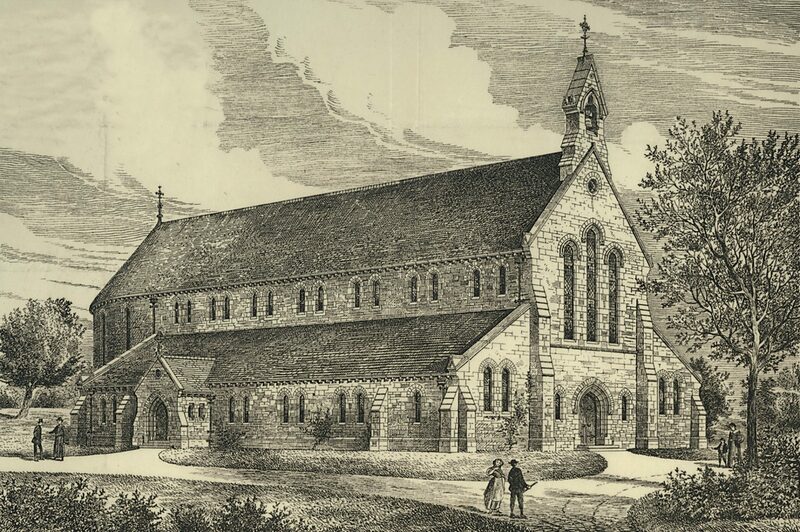 The Church was built during 1888 and dedicated by Bishop Lyster on December 16th 1888. The only large scale addition to the Church was in 1914 when the front porch area was added. This was to provide more space, a mortuary chapel and a baptistry. In more recent times the baptismal font was brought forward and is now on the left hand side of the Sanctuary. In fact the whole Sanctuary area was reconstructed in 1982 and a new roof erected in 1998. 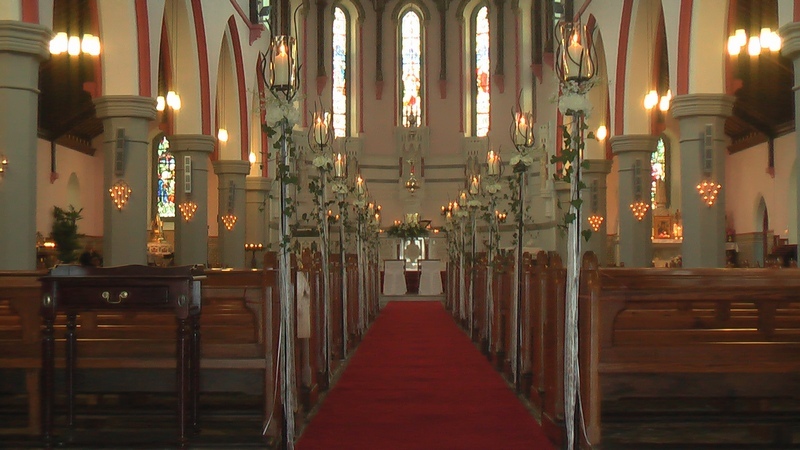 There are over 20 beautiful stained-glass windows in the Church. Some of them were made by J.J. Clark & Son, Dublin who were famous stained-glass artists in their day. Among the windows are 15 depicting the Joyful, Sorrowful and Glorious Mysteries of the Rosary. Another notable feature of the Church is the painting over the Sanctuary which was done by the McHugh brothers of Kiltimagh in the 1930s and has not been touched since.